Used to live in Norwich South until 9 months ago. Simon Wright hasn’t got a chance of being reelected. The large student will desert the Lib Dems because of tuition fees. People were also criticising him for being invisible in the constituency and for not being local enough – he is from Fakenham, 20 miles away ( this is Norfolk). Clive Lewis is charismatic and sufficiently left-wing for the seat (Previous MP Charles Clarke was too right-wing for many!). I attended the meeting that selected Clive and he was spoken of as being Obama-like. The main threat will come from Greens. But they don’t poll as well in general election as in local elections and their margins of victory are falling in local elections. I will be very surprised if this is not a Labour Regain! Completely agree. This is probably the most likely Labour gain in 2015. Greens could take second place from the Lib Dems. I have hardly seen anything of Simon Wright since he was elected either. Local election results suggest a Labour gain very strongly. Who would you regard as the best & worst new MPs for each party? From my uncle who lives here, I get the impression Labour will easily stand to gain this seat in 2015 – but the Greens should take second thanks to the LD collapse so it’s possible they could win it in 2020. Labour have been leafletting and canvassing hard in the wards where they think votes for the General Election are to be had. There’s little difference in policy between any of the parties here locally , it’s a bit like an election in East Germany or that Twix advert. Costessey was split – so just assumed half of its votes in the above figures. Norwich South’s local figures also continue to suggest a slow stengthening of Labour’s position relative to the Greens. Lab had 1.8% lead over the Greens in 2012, 0.4% in 2011 and there was a 0.6% Grn lead in 2010. The Lib Dem position looks very difficult now for 2015, though they did win Eaton and Cotessey. There only hope might be to tempt Tory tactical votes and see a heavy Lab/Grn split in the anti-coalition vote. I think this is an almost certain Labour gain. I don’t think a Green gain here is out of the question. Don’t you think Charles Clarke looked furious after he was decapitated? I don’t agree with Andy. The Greens may win here one day, but I can’t see them doing better in a parliamentary than a local election, and the anti-coalition voters are likely to vote Labour tactically too. Norwich S is practically a 4-way marginal, not a Lib-Lab fight. Lib Ds probably least likely to lose imho, and Lab prob most likely to win (call it definite if polls are the same 2015 as now). But certainly not straightforward as suggested on Manch Withington thread – nor has it ever been a Lab stronghold like Withington. Cons lost it in 1992, unlike Norwich N which they held by < 1%.
. . . though if Cons are heading for victory nationally and actually bother to fight in a seat they have underperformed in for 20 years relative to demographics they could take it. Likewise Greens could win with a charismatic candidate / good campaign regardless of who is leading polls nationally. Ironically I see Lib Ds as losing come what may even though they are the incumbent and he is apparently quite a diligent MP. The reason I was talking up the Greens was that I think it’s possible a lot of voters could switch directly from LD to Green in 2015. Surely a Labour gain. I think a Green victory is probably 2nd most likely. Far Easterner – there’s surely no way the Tories can win here. They haven’t won a council election anywhere in the constituency for quite a while and the demographic of the area isn’t at all favourable to them – this seat is drawn far less well for the Tories than when it was a smaller, and more suburban, seat before 1983 (although the Tories did win in their annus mirabilis of that year as it happens). Andy is almost certainly right that some LD voters will switch to the Greens, though surely a goodly number will switch to Labour too. I meant to say earlier that the LDs were, imo, least likely to WIN, not lose. I am also certainly not discounting a LARGE Labour win as a possibility, just that it’s not quite the shoe-in that some seem to think. If the electorate perceive that Greens or Tories have a chance, then that’s when Labour will be vulnerable – esp if just ONE other party emerges from the pack to draw any anti-Labour votes together. Certainly after the Tories won Bowthorpe the number of non-white council house tenants seems to have increased dramatically. That final figure should have been 3.3% since both Lab and Green increased in share. Default setting of course is that usually if one goes up the other goes down. This is a desperate result for the Lib Dems. 3rd or 4th place can’t be ruled out. It’s noticeable how the Tory vote has held up much better in Norwich South than North: down by 4.7% compared to 11.0% in Norwich North. I would have thought the LDs would be battling with Cons for third place. I would have assumed the Con vote was a reasonably solid 9 or 10 thousand, but they could see losses to LDs of a tactical nature. Interestingly look at the weakness of the UKIP vote here: it probably wasn’t a good area for them to begin with, but the presence of a strong Green party means that there’s an obvious choice for the not tory or labour or LD vote. UKIP only contested one division but of course that is usually an indication that a party wouldn’t have done very well if they had stood in other divisions. How many seats did the Tories have in Norwich in 2008? It seems rather alarming that it was already a round number in 2012. 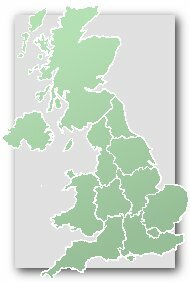 Wikipedia says they held 5 seats after the 2008 elections, actually winning 2 seats in 2008: Bowthorpe and Catton Grove. I’d be amazed if Labour do not win. The Green vote is generally a lot higher in the local/county elections than in the GE so they are unlikely to win but they will probably come second. I don’t think the Tories could ever win the seat on the current boundaries. If this doesn’t go red then Labour will be in for a long night. I think their majority here could be approaching 5 figures. The 2015 GE is likely to be the closest for a very long time. It is quite plausible that Labour and Conservative could both wind up with around 290 seats, with the Libdems between 35 and 40, leaving them kingmakers, but whichever side they join, their coalition would have a single figure majority. Could be fascinating stuff, and would give the LDs massive power in coalition negotiations, despite probably losing a lot of support. One interesting thing will be whether Labour decide that they would prefer a minority government to a coalition with the LDs if they’re in a position to decide on either of those outcomes. I think LD support could slump to about 12% nationally but they’ll still have 35 to 40 seats. My reasoning – they tend to do better in local elections – although not always so. They polled 13% in May 2013, and although they were clearly also hit by UKIP, their drop of around 3% since 2011 and 2012 is not all that dramatic. The evidence we can gather is something close to a collapse of support nationally but nevertheless an ability to buck trends in particular areas. So unless this is one of those elections where the LDs do unexpectedly recover, I think a most likely punt is that they’ll be a bit lower still in a General Election. but Labour nosing ahead on seats. We have nearly 2 years to turn it around. That’s what you’d get at the moment I think – although there is of course a range on either side. Give or take 1 or 2 percent for each. 9% may be a bit optimistic for UKIP, but hey, what’s the harm in a bit of Plopwellism! Interesting view point you have Neil. Bear in mind that is a prediction for an election in 2 years’ time, not 2 months. UKIP are, sadly, likely to slide back somewhat after the Euros (maybe ride high for a couple of months after a 2014 victory first). By 2015, the LDs will be judged mainly on the 5 years in office, not just immediate perceptions, and that will help them regain some votes. Likewise the Conservatives – despite their apparent aim to alienate former core voters (e.g. me) – will pick up somewhat from their current, mid-term position. Labour will drop some of the support they currently have from disgruntled LDs, and a fear factor could well also kick in regarding their woeful economic record. I think my 2015 predictions are fairly realistic. I wouldn’t put Others (non-kippers) that high at all. Me neither. If you make it 35/35 for Con and Lab and move others down to 5 that would be pretty much what I expect. I don’t think the Tories are likely to be as much as 4% ahead of Labour come 2015. A Tory lead is however still very much possible at least in terms of votes. Any Tory lead with the Lib Dems below 20% and UKIP around 10% is basically impossible. I am basing my predictions on the sort of scenario H Hemmelig envisages- i.e. Tories and Labour pretty much deadlocked on national share of the vote. Politically I think Labour are taking a massive gamble with their recent conversion to austerity economics. There will be a large group of leftish voters who will feel alienated, many whom were Lib Dems in 2010. It’s a big mystery to me why the Greens are not zooming up in the polls as a result of this. My guess is that the popular vote lead won’t be more than 2%. A credible scenario indeed, and probably the worst of all worlds. I think I’d prefer a majority Labour government so they would at least be able to ignore the wackier elements of the left and pursue the more realistic economic policy that they are moving towards. A rainbow coalition of Lab and Lib, possibly also needing support from Greens and nationalists on occasions, would be a complete economic disaster. Some on the right are hoping for just such a rainbow coalition because they think it’ll collapse after 18 months, allowing them to finally win the majority they’ve been looking for since 1992.